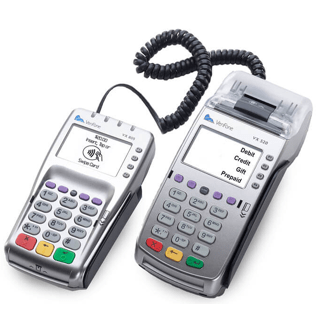 Harbortouch Services of Alabama Inc.
Harbortouch offers a wide range of terminals and point of sale systems to meet the needs of any business. 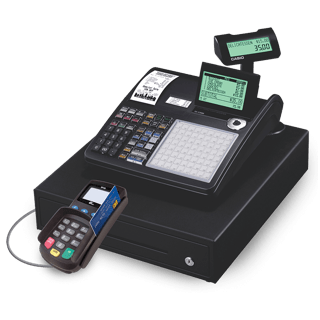 Harbortouch ECR integrates the most popular electronic cash registers on the market with exclusive credit card processing technology that allows you to manage all payments through a single terminal. In addition to accepting payment, track all your daily cash, check and credit card sales as well as taxable and non-taxable sales. Harbortouch has developed a simple, easy to use online wizard to customize your register’s keypad layout prior to shipping so that you will receive your cash register fully programmed to your specifications, saving you countless hours of setup time. As mobile payments become more common, it is critical that you are able to accept these payment types in addition to credit and debit cards. 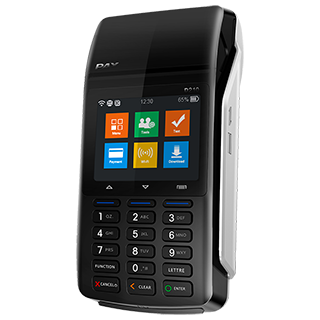 The VX 520 terminal includes near field communication (NFC) technology so that your customers can simply wave their mobile phone to pay. Additionally, the terminal accepts EMV-enabled credit cards, or “smart cards”. The major card brands recently announced that they will be migrating to EMV technology in the near future due to the added security afforded by these cards. Merchants who don’t accept EMV payments will be non-compliant once these changes go into effect. With Harbortouch, you can future-proof your business and stay on the cutting edge of payments technology! The S90 delivers unmatched security, portability and reliability in a lightweight, handheld form factor. Perfect for delivery businesses, contractors or any other business that operates on the go, the S90 wireless terminal enables mobile retailers to bring their products and services directly to their customers. It offers robust features and an easy-to-use interface with a built-in thermal receipt printer. 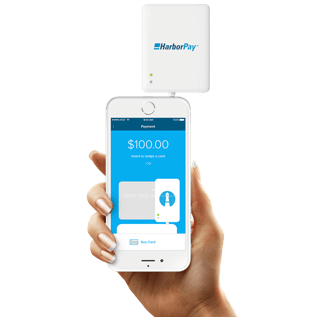 Compatible with Apple, Android, Blackberry and Windows Mobile devices, this application enables merchants to quickly, easily and securely accept credit and debit payments through their smart phone or tablet anytime, anywhere.